Arrive in New York City and transfer independently to your hotel where you will meet with your ATI Tour Director in the evening. 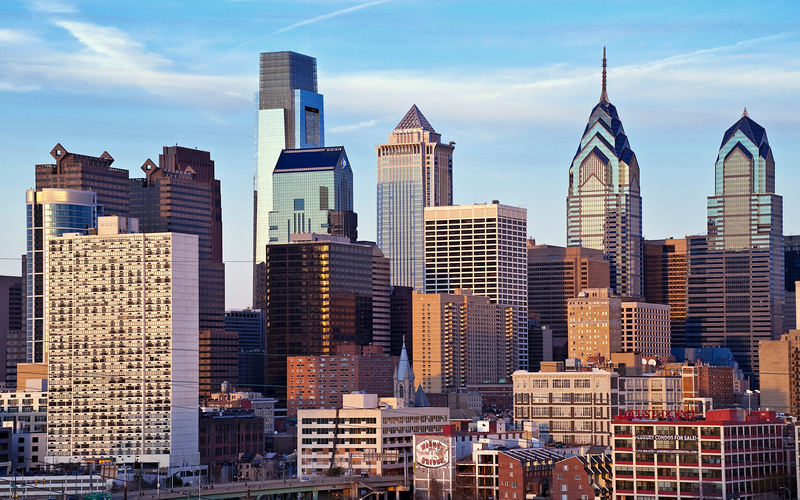 We depart New York for Philadelphia, where we spend the morning exploring the historic district of the "City of Brotherly Love" and the birthplace of a nation. See the Liberty Bell, and stroll through Independence National Historic Park and Mall. Then continue to the nation's capital, Washington, D.C. 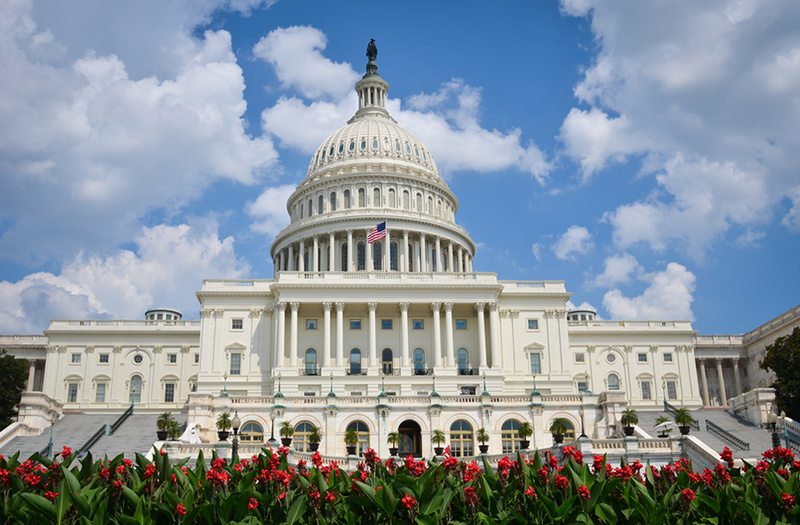 Enjoy a city tour with such highlights as the U.S. Capitol Building, Washington Monument, Lincoln Memorial, the White House and Arlington National Cemetery, site of the JFK Memorial. Spend the remainder of the day exploring some of the many museums comprising the Smithsonian Institute or simply stroll the banks of the Potomac River. Today, visit Gettysburg National Military Park, site of one of the most decisive battles during the American Civil War, and the place where Abraham Lincoln gave his famous address in 1863. 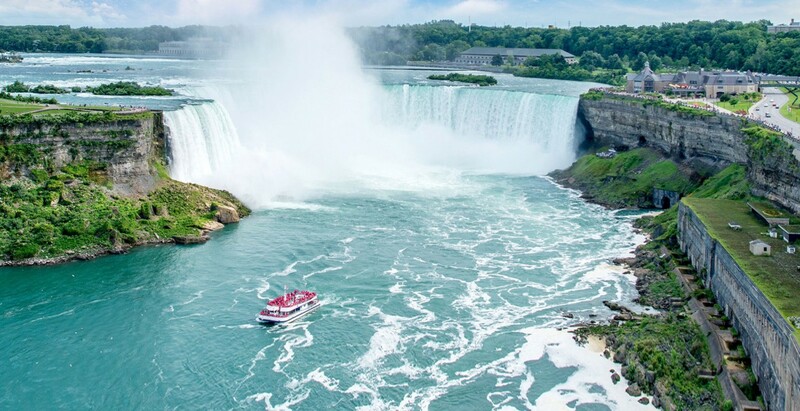 We then travel through upstate New York to Buffalo and finally cross the international border into Canada, where the thundering noise and mist of Niagara Falls permeates the air. This morning we make an early start to visit the fascinating Henry Ford Museum. After time exploring the many exhibits of the museum we will visit the nearby Ford plant and watch a modern production vehicle roll off the ever busy factory floor. We then leave Motor City behind and travel along Lake Michigan to Chicago for our overnight stay. 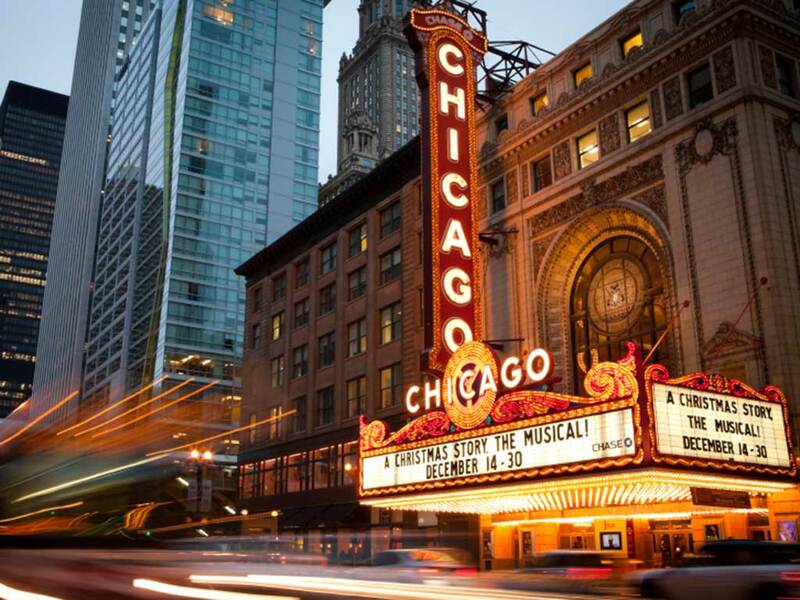 Today we will enjoy a short tour of the city's highlights including Lake Shore Drive, the Magnificent Mile and Navy Pier. The rest of the day is at leisure. 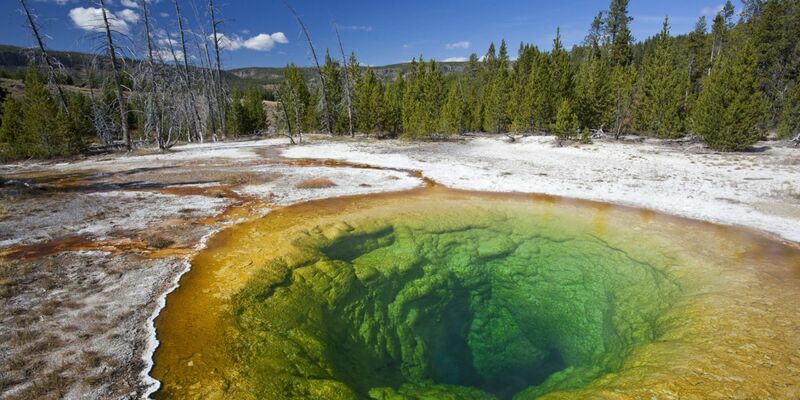 Travel westward through the grasslands of South Dakota and onwards to Badlands National Park, once home to the buffalo and antelope, and filled with colorful rock formations. Then we continue on to the Black Hills, sacred to the Plains Indians and home to Mount Rushmore. Enter the state of Wyoming, which has twelve mountain ranges intermixed with deserts and rolling grasslands, and continue to Cody for the night. **If overnight in Cody is not possible due to weather or adverse road conditions in Yellowstone, overnight will be in Billings/Livingston, Montana. Travel through Grand Teton National Park (weather permitting) and see awesome mountain peaks towering over 13,000 ft. Visit the Snake River Outlook and try your eye at capturing the stunning landscape made famous by Ansel Adam's iconic shot. 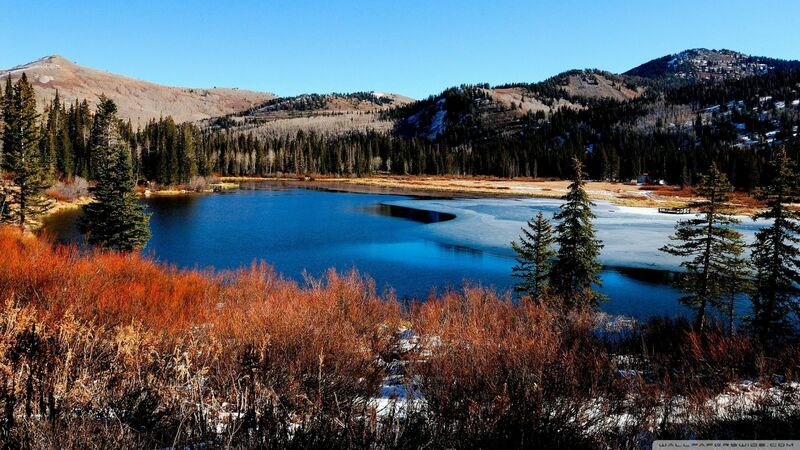 Later, arrive in the Mormon State of Utah and take a short city tour of its capital, Salt Lake City. The followers of Brigham Young built one of the best-planned cities in the country. See the State Capital building and visit famed Temple Square and the Tabernacle before arriving at the hotel for the evening. Depart Bryce Canyon this morning and journey to stunning Lake Powell, where crystal blue water laps against towering red-rock canyon walls. 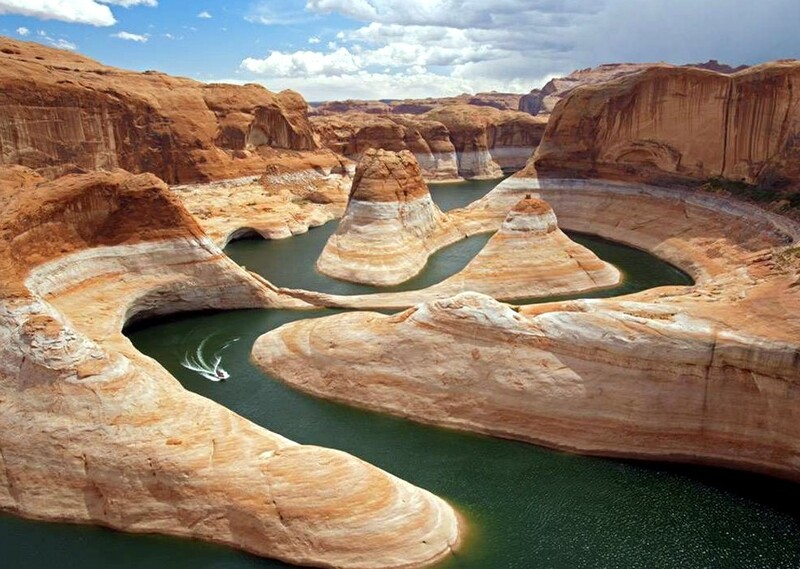 Lake Powell is the second-largest man made lake in America, and one in a series of lakes formed by the damming of the Colorado River. Then visit colossal Grand Canyon National Park, one of the seven great natural wonders of the world. Stop at the Canyon rim to fully experience this mile-deep canyon's plunging gorges, rising spires, extinct volcanoes and, below the rim, the winding Colorado River. Overnight in Flagstaff, a famed stop on Historic Route 66. This morning depart Flagstaff and travel on to Las Vegas, the dazzling "Entertainment Capital of the World." 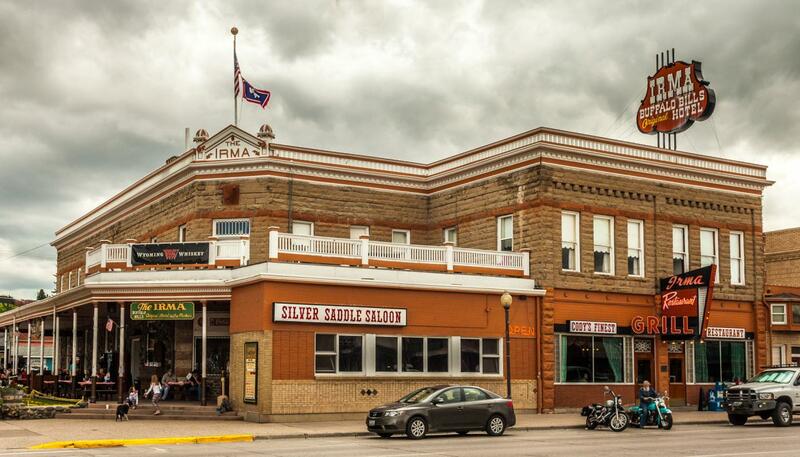 Along the way, pass through Seligman, a town built along the famed Route 66 that looks as if it were frozen in time sixty years ago. The remainder of the day is at leisure for you to explore the dazzling Las Vegas Strip. Travel to Los Angeles through the Mojave Desert, where clusters of unique Joshua trees dot the mountainous landscape. Upon arrival in Los Angeles you will enjoy a tour through the "City of Angels" including Hollywood, Sunset Strip and parts of Beverly Hills, before reaching your hotel. 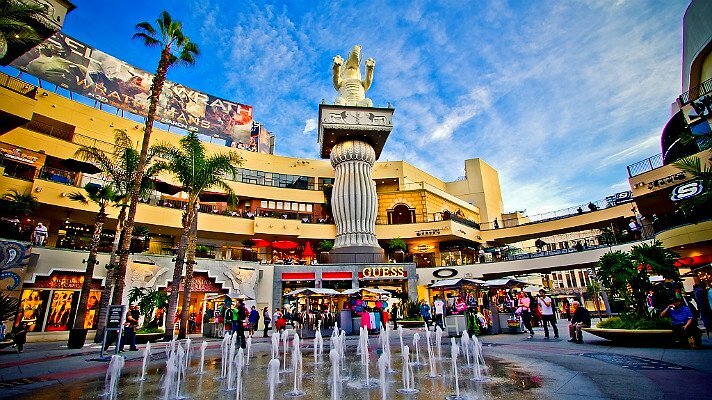 Today we suggest an optional full-day tour visiting the world's largest movie studio and theme park: Universal Studios. Get an inside look at the sets and uncover the behind the scenes secrets of legendary films or perhaps, for the more adventurous, take one of the Studios' feature rides including Jurassic Park and Revenge of the Mummy. 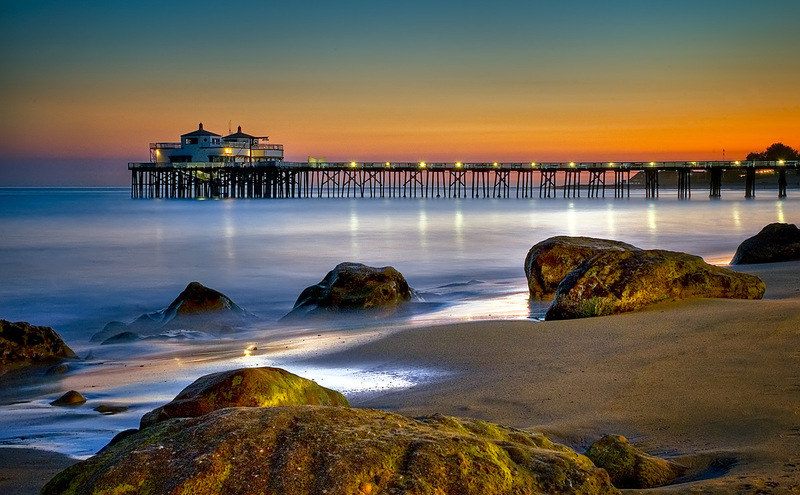 Leave Los Angeles in the morning and travel north through one of California's favorite vacation spots, Santa Barbara, where palm-lined walkways border white sandy beaches. The city is famous for its mission and Spanish heritage. Along the way, stop at an iconic California lifeguard tower made famous in "Baywatch". Today we make our way north to Carmel, home of actor/director Clint Eastwood. Enjoy browsing the shops and galleries of this famous artists' colony. Traveling further north, visit Monterey's Old Fisherman's Wharf. Stroll the Pier to Cannery Row, brought to fame by John Steinbeck's novel. In the afternoon pass the fertile valleys of Castroville and Santa Clara en route to San Francisco, the "City by the Bay." Tour concludes upon arrival at the hotel. 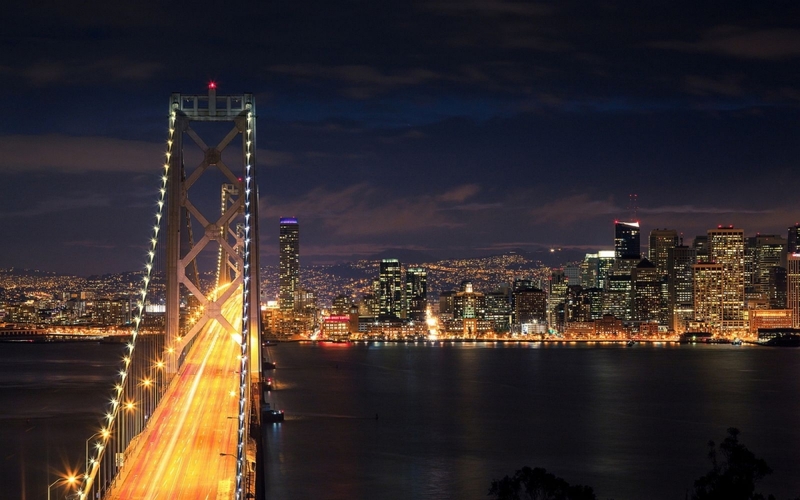 - Washington Monuments at night with dinner in fashionable D.C.
- Dinner at the Roof Restaurant in Salt Lake City for panoramic views of Temple Square. - Shuttle: SuperShuttle is available to transport passengers from the airport to their hotel. One-way seat-in fare per person is approximately USD $24 from JFK, USD $24 from Newark (EWR), and USD $21 from LaGuardia (LGA). For instructions on how to get to SuperShuttle after you land, please call 1+ (800) 258-3826 or visit: www.supershuttle.com. - Taxi: Independent taxi service is available to transport passengers from the airport to their hotel. Approximate fare should not exceed USD $55 - $65, plus any toll charges that may apply. Passengers should secure rate before hiring. 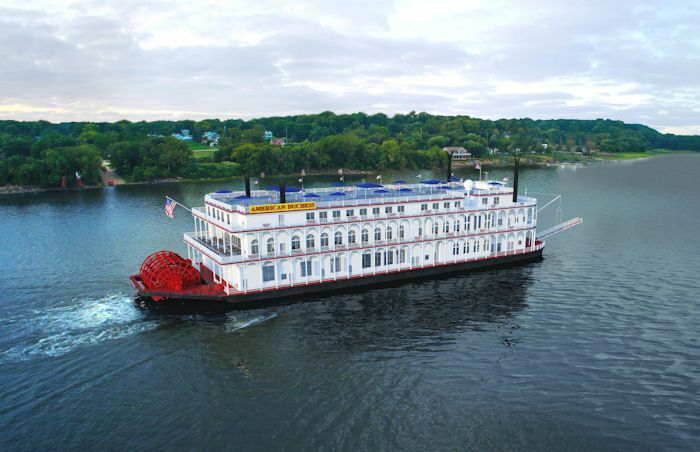 - Day 1 (Friday): Upon arrival, passengers should check-in at the front desk of The Manhattan NYC- An Affinia Hotel and identify themselves as participants of ATI’s The Great American Crossing. Passengers arriving between the hours of 2:00 pm and 8:00 pm should then proceed to ATI’s Hospitality Desk and check in with ATI’s Tour Director. - Day 2 (Saturday): ATI’s The Great American Crossing Motorcoach Tour departs for Washington D.C. at 8:00 am. Passengers should meet ATI’s Tour Director in the lobby of The Manhattan NYC-An Affinia Hotel with their luggage at 7:30 am. - Passengers with pre-night booked through ATI may visit ATI’s Hospitality Desk at The Manhattan NYC – An Affinia Hotel on Thursday between the hours of 4:00 pm and 8:00 pm to check in with ATI’s Tour Director and reconfirm their tour participation.